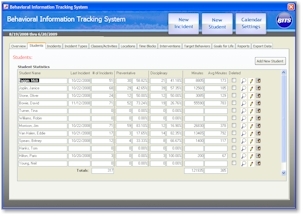 The Students tab in the BITS Behavioral Information Tracking System is designed to provide you with an intuitive interface to manage your students. 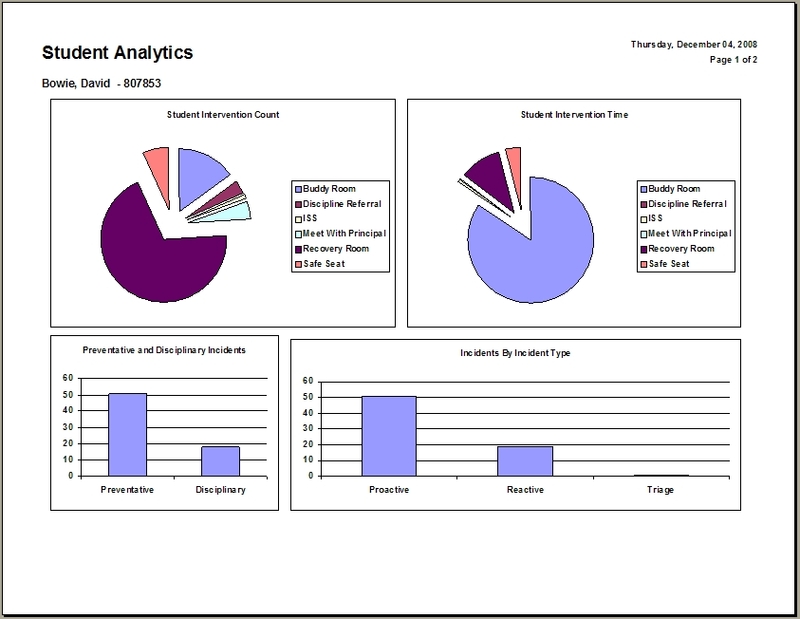 The student listing shows several fields of information and has buttons for two key behavioral reports. 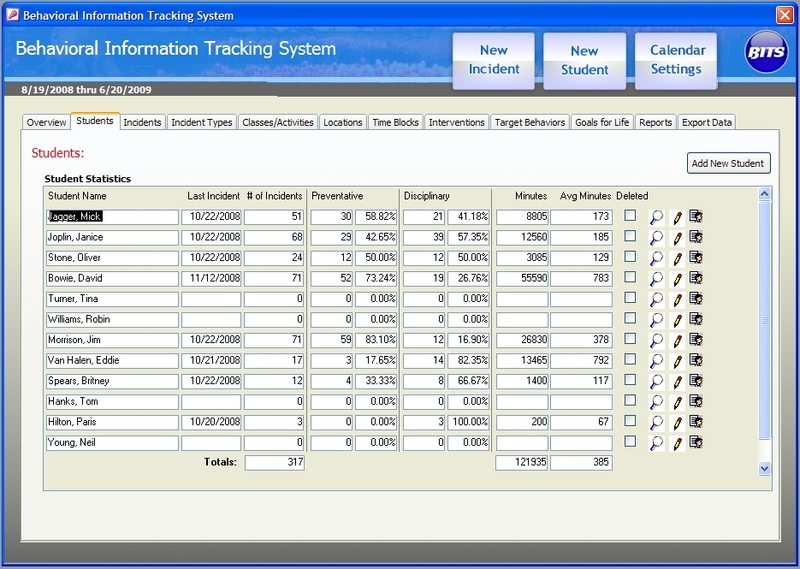 The Last Incident column tells you the date of the last recorded behavioral incident for a Student. By scanning this column you can determine which of your students has been incident free for a period of time. 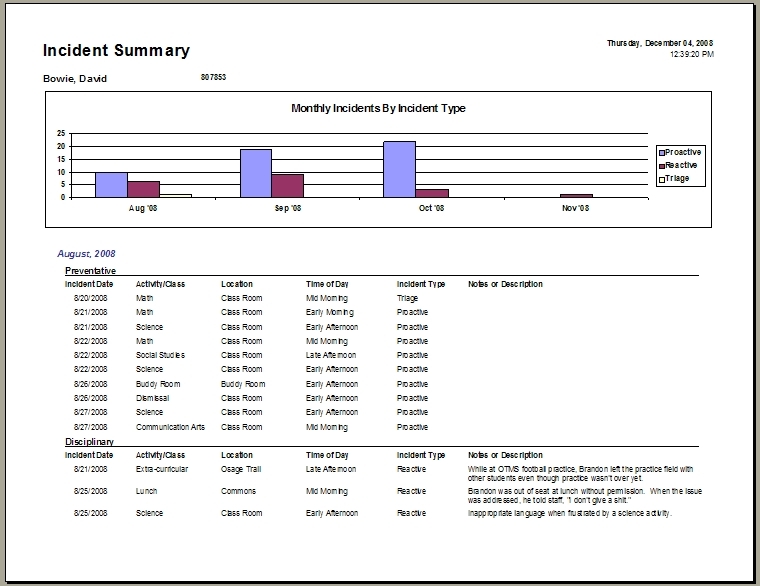 Behavioral Incidents can be recorded by clicking on the "New Incident" button at the top of the BITS screen, or from the Incidents Tab. The Number of Incidents column tells you the total number of incidents that a student has had. This gives you a quick reference to which students are most in need of help. 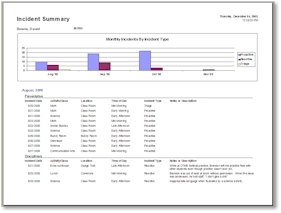 The Preventative column summarizes the count and percent of total incidents that are considered Preventative. As a student gains control over a behavioral pattern, more incidents will fall into this category. The Disciplinary column summarizes the count and percent of total incidents that are considered Disciplinary. The higher the percent of incidents are Disciplinary the more likely it is that a student does not have control over a behavioral pattern. In addition to the summary information contained in the columns, there are a series of toolbar buttons for each student that allow you to print student reports and to edit the student. 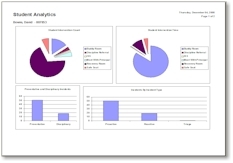 The Student Analytics report gives you an overview of a particular student's behavior patterns over time. This is very useful for assessments and parental meetings.